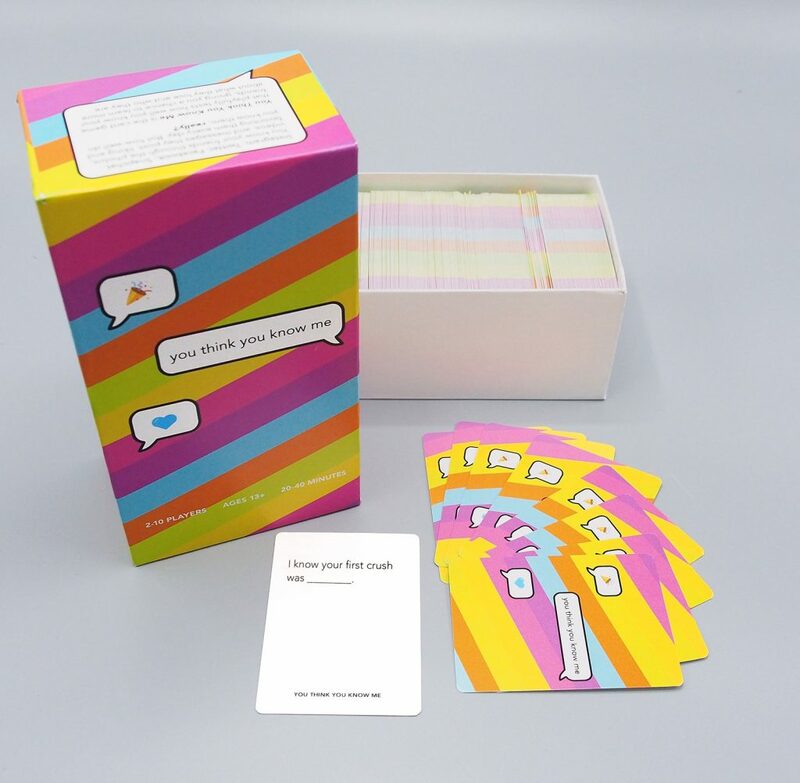 Her idea was You Think You Know Me, a card game inspired by the friends she followed on Twitter, Instagram, and Facebook and the people who followed her, and the lives that all of us have projected online. Her game would challenge what we thought we knew about our friends, and in the process, deepen our relationships with them. Within days, she had a handwritten paper prototype, writing hundreds of cards on every conceivable topic. She started playtesting it with friends and family, in different sized groups, refining the game rules, seeing what worked and what didn’t. It was clear there was something unique there — every time we played, it brought out laughs and surprises and led to interesting stories and anecdotes and little tidbits about everyone’s lives, over and over again. It was definitely a game, with rules and a winner, but it was much more about conversation than competition. She finalized the design and rules, and I helped with the card and packaging design based entirely on her vision. She did all the research, and within three months, she had a full-color, 500-card professionally-printed boxed prototype in hand. This is Ami’s first Kickstarter project, her first game, and, believe it or not, the first time I’ve ever written about her on Waxy.org. I’m writing about it here because I think she’s made something great, and frankly, I want to see it blow up. 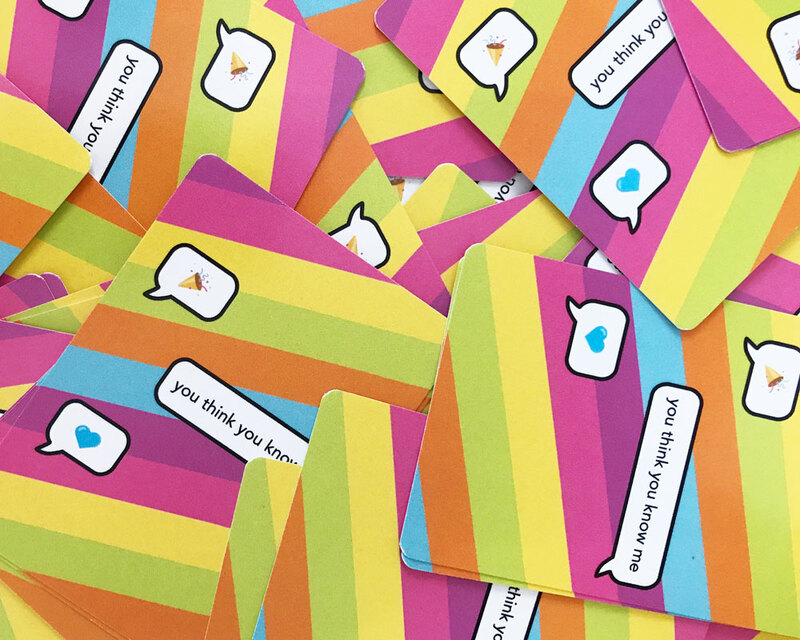 Her minimum goal on Kickstarter will let her print 1,000 copies, the minimum print run for working with AdMagic, the indie game printer behind Cards Against Humanity, Exploding Kittens, and countless others. So take a look, watch the video, and grab a copy for yourself. Thanks!